Passport POS | CSESCO INC. The Passport POS PX60 port USB converter, Passport POS PX60s requirements without needing costly upgrades to your convenience store equipment. See how Passport puts the future at your fingertips. The Passport point of sale system provides you with the tools you need to grow, control and track your business. 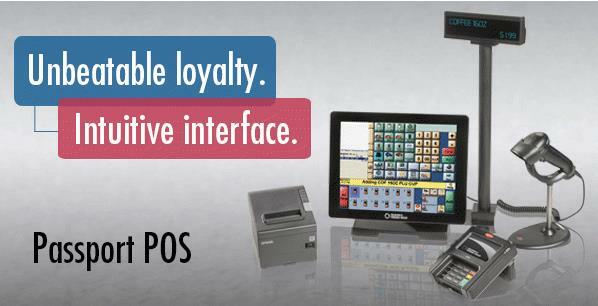 With the richest third-party interfaces, an easy-to-use touchscreen, accurate reporting features and reliable service, you can stay on top of your c-store POS transactions while being guaranteed expert support if you need it. Plus it offers various promotional options to help you drive more traffic into your c-store. See how Passport is your ticket to a profitable business. Easy-to-use touchscreen reduces cashier training time, increases cashier accuracy and speed, and decreases transaction time. It allows cashiers to organize menus by time of day. Set up alerts and reminders to display at a scheduled time on the cashier or manager workstation. Examples include: clean bathrooms, take out trash, count cigarette inventory, refresh coffee, close store. Security groups set permissions for data and specific functions. Reason codes for exceptions reduce employee theft. Managers can program and require reason codes for any exception to enhance employee tracking. Electronic journal captures every keystroke with a powerful security camera interface. CD backup of Electronic Journal, Network Journal, and Store Report data ensures against loss of data. Blind balancing facilitates effective cash control by requiring the cashier to balance the till without knowing how much cash should be in the cash drawer. Till reconciliation allows cashier to balance the till at the manager workstation. Manager can reconcile cashier till to validate for accuracy with the option to correct or process as is. Easy-to-read safe-drop warning reminds cashier to do a cash drop once money limit is reached. Supports your social media programs with its easy interface. Powerful fuel discounting, car washing and merchandising allows you to reward your customers. Method of payment report calculates credit and debit transactions for fuel, merchandise and car wash sales to reduce card processing fees. Paid-In or Paid-Out functionality and reporting tracks monies coming in or out of the cash drawers for vendor payments. Remote dial-in support enables Gilbarco Help Desk to dial in a diagnosis and fix software-related issues, reducing technician site visits and service costs. Automatic software upgrades and data migration allows for software upgrades via remote download or CD. Includes full data migration and increases uptime. Superior Passport ASC coverage and support guarantees service by a certified network of technicians when you need it. Qualifiers can be set up to specify how an item is sold. Local accounts, including card and face-based accounts, support commercial customers. Build the business by capturing new customers. Fuel discounting supports various promotions and delivers more value to your customers. It is available by card, car wash, fuel grade, and cash. Passport is the only POS that supports cumulative/stacked discounts. CRINDmerchandising enables the sale of merchandise at the pump either before or after the fueling transaction. Mix and match promotion and combo promotion advertise promotional sales for combinations of items. Linked item allows the ability to link two items together so that cashier doesn’t have to remember. Supports both best deal and cumulative discounts.